Thank you for visiting the official website of the Schaghticoke Tribal Nation (STN), a Native American Tribe located in Kent, CT. 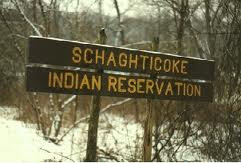 The Schaghticoke Tribe has been a state recognized tribe for over 300 years. Our reservation, granted in 1736 by the General Assembly of the Colony of Connecticut, is one of the oldest in the United States. It encompasses roughly 400 acres between the western bank of the Housatonic River and New York state. A national trail system, the Appalachian Trail, passes through the scenic reservation near the historical Schaghticoke rattlesnake den. 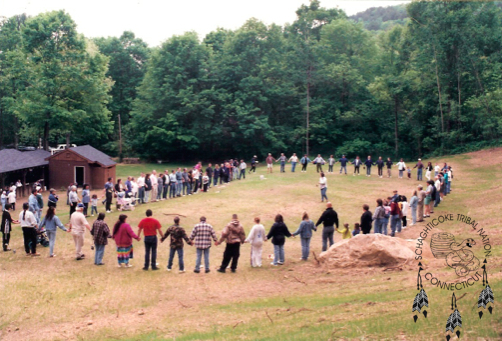 Today, the Schaghticoke Tribal Nation continues their struggle for federal recognition. Although STN was granted federal recognition in 2004, it was unjustly reversed on Columbus Day in 2005 due to heavy political influence by Connecticut politicians and backing by wealthy land owners. It is STN’s mission to have their recognition restored. To learn more about the Schaghticoke Tribal Nation, just click the links on our Navigation bar.